Once in a while, in the middle of all the specific updates, it’s good to slow down and give a broad overview of everything that’s happened recently, and all that’s coming up soon. 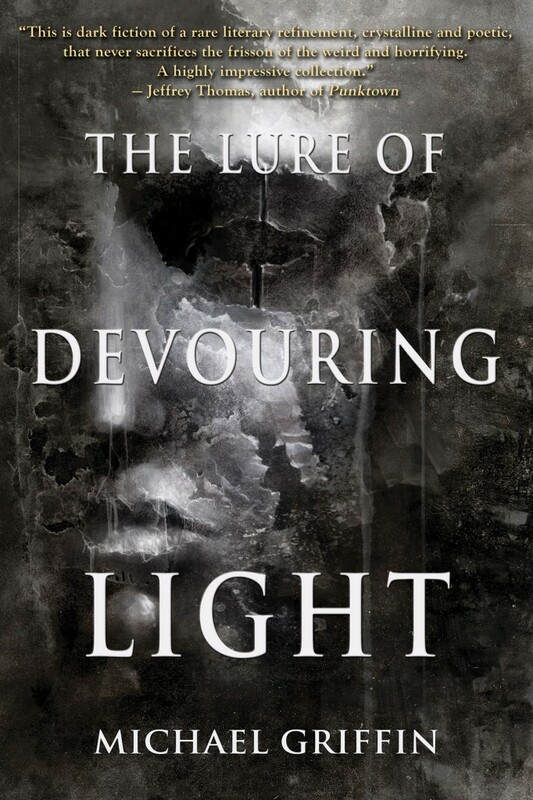 The biggest things that have happened so far this year include the April 30th release of my first collection, The Lure of Devouring Light, published by Word Horde. The book has been received well so far, with highlights including very positive reviews from Publishers Weekly and This is Horror. I’m delighted with how the book turned out, and plan to keep working to spread the word, hoping to get it into the hands of more readers. Another 2016 publishing event is Autumn Cthulhu, published by Lovecraft eZine Press and edited by Mike Davis, in which my story “The Smoke Lodge” appears along with a lot of truly great work by some of the best writers in the fields of Horror and Weird Fiction. I’m proud to have a slot in this book, which I’m guessing will be considered by many to be one of the can’t-miss anthologies of the year. That’s all I’ve published so far in 2016, though an entire book plus one story in a nice, high-profile anthology is pretty good for a start. The second half of the year looks to be very busy in terms of publishing output. My novella An Ideal Retreat has been handed in to Sam Cowan and should be published by Dim Shores in a limited edition in September. Sam has been doing so much really impressive work, and I’m very pleased to have a Dim Shores edition of my own coming up! Cover art and interior illustrations will be provided by Mikio Murakami. Also in September, my story “The Insomniac Who Slept Forever” will appear in The Madness of Dr. Caligari, edited by Joe Pulver and published by Fedogan & Bremer. A few more items are coming up with less exact release dates, but I expect all three to appear before the end of the year. Darker Companions: Celebrating 50 Years of Ramsey Campbell, edited by Scott David Aniolowski & Joseph S. Pulver Sr., is planned by PS Publishing for Autumn. My story “Endure Within a Dying Frame” is planned for the next issue of Lovecraft eZine, but I don’t know when that will be out. Late summer, maybe? That’s all the publishing news, for now. My writing activity in 2016 can be summarized pretty simply. In January I wrote “The Human Alchemy,” then I spent the next three-plus months writing An Ideal Retreat, which ended up being about 28,000 words. Since then I’ve been working on a couple of short stories for anthology invites, and as soon as those are done I’m going to focus on a full-length novel for the second half of the year. Lastly, convention appearances. Last month I attended H.P. Lovecraft Film Festival in San Pedro, which coincided with the release date of my collection. In July I’ll be at ReaderCon outside of Boston, then later in the year, here in Portland, we have H.P. Lovecraft Film Fest in October and BizarroCon in November. That’s all the news that fits, as thing stand today.